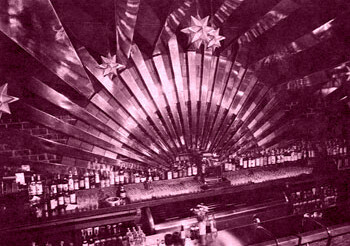 Buzzby’s was the first great dance bar in San Francisco. It was also the first gay bar I remember that wasn’t hostile to admitting women. If they weren’t wearing open-toed shoes. Ann Getty was known to frequent the place so I’m sure they made an exception for her custom Vivier’s. I had drinks with my upstairs neighbor Jim a week ago. We hadn’t seen each other since he moved out last June. We met at the Cinch on Polk, one of the last gay bars standing on the Strasse. Jim and I didn’t know each other in the ’70s but it turns out we had shared many of the same Polk Street experiences. We talked about how ground-breaking Buzzby’s was, how it changed the whole scene. He told me stories about his best friend Steve who was a DJ there. DJ’s really were the heart of this dramatic new club life. He remembered his friend as a brilliant sound mixer way ahead of his time musically. Before discos came along hits were made on the radio largely by the payola and sleaze associated with the record business. After the club DJ’s took charge, songs became popular on the dance floor then made it to the airwaves. Soon after Buzzby’s the Trocadero Transfer opened and become the ne plus ultra of dance venues. The largest space in town with the most modern equipment, it was usually only open Saturdays. It became infamous for its theme parties like the first White Party I’d ever heard of. The head to toe white dress code was strictly enforced while wall sized ice sculptures decorated the room. The staff all wore “iced hair.” For Easter, they flooded the dance floor with hundreds of lilies just as dawn broke. Halleluh, Halleluh. The Trocadero was really an event that you anticipated and planned for. Buzzby’s was available nightly, there for the taking whenever you needed it. Looks a little dangerous in platforms, thank God they weren’t open-toed.